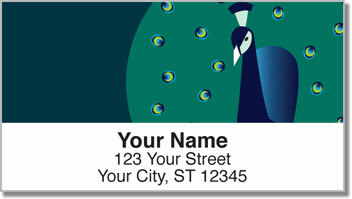 Rich teal brings a cool tone to these Proud Peacock Address Labels from CheckAdvantage. Our artist did an amazing job of capturing the essence of the peacock. 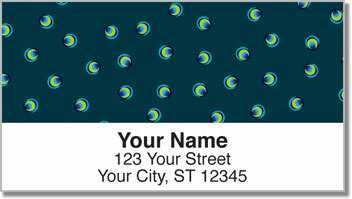 These personalized labels include some of the best tone-on-tone design we've seen yet! 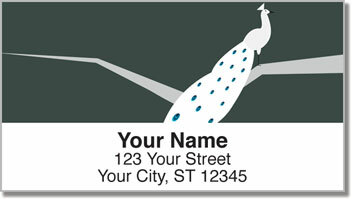 With self-adhesive Proud Peacock Address Labels, it won't take you any time at all to include your return address on packages and envelopes slated for the mail. 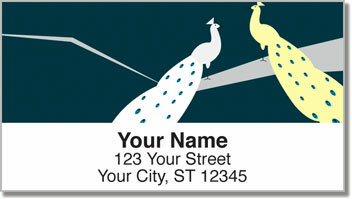 We also offer this stunning collection as a set of Proud Peacock Personal Checks. Make them both yours today!